The Vaccines new single Norgaard which is out this week digitally and as a 7" and features a brand new song Primal Urges. You can order the 7" exclusively here and the download here. What can I say 2011 has been very good to The Vaccines and I cannot stop listening to anything that they put out. I already posted twice today about them with 2 different cover songs, now we get a B-Side song 'Primal Urges' which is addictive as anything from the debut album. Great little song here that will have you coming back for additional listens. Norgaard was released through Columbia Records on Sunday 21st August 2011. 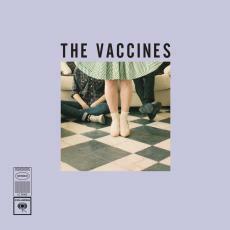 The single is taken from their debut album, What Did You Expect From The Vaccines?, which was released in March of this year and was recently certified gold in the U.K. having sold in excess of 100,000 copies.